We all know portable toilets can bring the most unpleasant thoughts. Toilet necessities is a part of life that we all have to deal with, especially if we are hosting an outside event or own a job site with many contractors. When this happens, you need a company you can trust. You need Edmonds Portable Toilet to be installed. You might be thinking this is going to give you a headache because it looks complicated but looks are deceiving. It’s rather a simple process. You may resort to purchasing your own porta potty so you won’t have to going back and forth with rentals. However, you will find that maintaining your own porta potty is rather expensive as pumping a porta potty costs the same as renting one! Ay yei yei! It would make much more sense to simply rent a portable toilet. Besides, will you need the portable toilet forever? I think not! The great thing is, if you live in Edmonds; you have Superior Septic Services. We provide the best services in portable toilet rentals for the simple fact that we are in the business of septic tanks and pumping. We install, repair and pump septic tanks. That’s the difference with other portable toilet rental companies. They may offer the rentals but they are not in the septic business. As such, they are incapable of taking care of issues that may arise with the portable toilets. Additionally, it is understandable that you will have questions concerning renting a portable toilet. That’s what our customer service staff is there for! Call us today at Superior Septic Services and speak to any one of our customer service staff in an effort to alleviate any concerns you may have. They are more than knowledgeable on portable toilets as well as the overall septic business and will guide you accordingly. 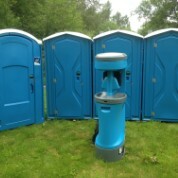 We know renting a porta potty can be over-whelming but it does not have to be! Superior Septic Services will make your life much easier for you whether you need a Edmonds Portable Toilet installed at your job site or event. Let our experts help you today!